Bolt Power Washers offers a wide variety of cleaning services and packages. Thorough exterior home surface cleaning with the latest in power wash products and techniques. Clean up your curb appeal with professional sidewalk and walkways cleaning done right. Soap and water is NOT the answer. Call Bolt Power Washers today for a free at-home estimate. 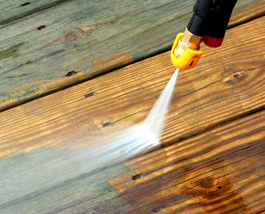 If you’re looking to improve the look and aesthetic appeal of your home, siding, driveway, deck or walkways, a professional power cleaning can dramatically change the look of any surface. We specialize in a thorough washing technique to fully capture your surfaces original color and shine. Contact us today for a quick and easy estimate.